Ignite Gallery (formally known as Student Gallery) is an exhibition venue funded by OCAD University located in the heart of Kensington Market at 165 Augusta Avenue. The gallery serves the campus community by displaying projects by OCAD U students and recent grads, creating professional practice training opportunities and providing social space. Two Coordinators manage the annual schedule of exhibitions and events with the support of its Advisory and Selection committees. The Advisory Committee meets twice per year; and the Selection Committee meets in the summertime, after the gallery’s annual call for submissions. There will be four exhibitions selected from the applications received during the 2017/2018 year. Ignite Gallery plans its program schedule after its annual call for submissions, which is released every spring. All applications are reviewed by the Gallery’s Selection Committee, which includes the Gallery’s Coordinators, representatives from the OCAD U faculty and student body, as well as external advisors. All applicants will receive a response from the Ignite Gallery Coordinators. We receive applications from individual artists, designers and curators, as well as group submissions. No solo shows will be accommodated. However, the Selection Committee may combine individual artists who apply into a group exhibition. 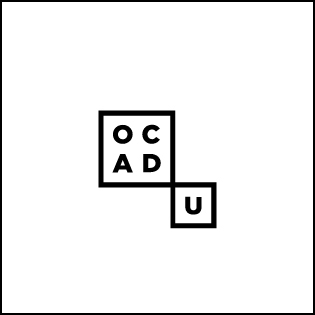 The Selection Committee works to create a balanced program that reflects the diverse range of work produced across all programs at OCAD U. An artist statement (individual submissions) or exhibition proposal (group submissions). Whether you apply as a group or as an individual, you must limit your written presentation to one page. All proposals should be accompanied by visuals. This material should either document the actual work you propose to exhibit, or present work that will give the Selection Committee some understanding of your present and/or upcoming projects. You may submit a maximum of 10 images or 5 minutes of time-based media. All images and time based media must be submitted as digital files and not exceed 30 MB. Images and time based media exceeding 30 MB may be submitted via Dropbox, WeTransfer link, a link to Youtube or Vimeo. Please include a corresponding image list with the artist’s name and its medium, size, title etc. >> View online PDF for Details and Ignite Gallery Application Form.